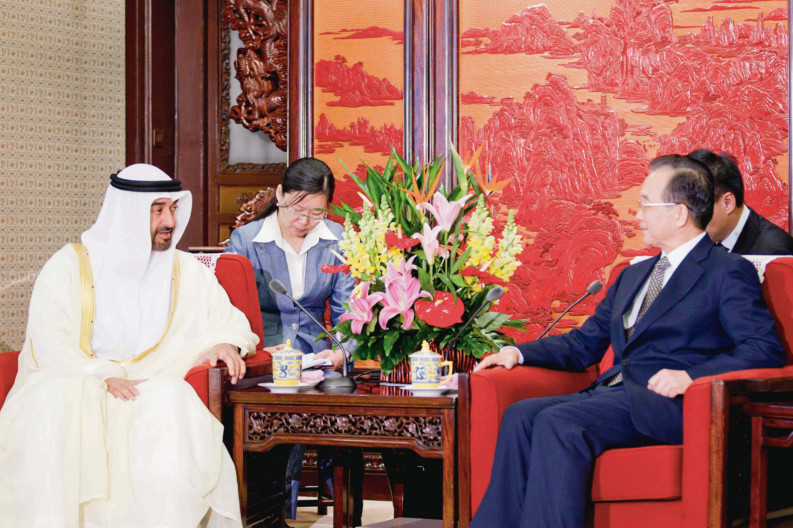 Abu Dhabi: UAE-China trade and investment ties are at their best and set to grow further. Dr Sultan Al Jaber, Minister of State said that the UAE looks to further expand its economic relations with China, particularly as a founding partner of the Asian Investment and Infrastructure Bank, AIIB, and in the context of China’s “One Belt, One Road” strategy. The visit to China by His Highness Shaikh Mohammad Bin Zayed Al Nahyan, Abu Dhabi Crown Prince and Deputy Supreme Commander of the UAE Armed Forces, from December 13 to 15, will address issues of common interest and will work to bolster existing and deep-rooted relations, which Dr Al Jaber said will act as a paradigm shift. It will accentuate the importance of the two nations’ strategic relations with the objective of enhancing ties in the political, economic, trade, security and military fields. Dr Al Jaber said the main aim of the Crown Prince’s visit is to discuss economic and political agendas and the shared approaches, and face global challenges, instability, energy access, climate change and many other areas. He also said that deeper ties with China will help in all sectors, especially rail, space, finance, and sustainability. Dr Theodore Karasik, Senior Advisor to Gulf State Analytics, said that given that China’s “One Belt, One Road” strategic nodes cross in and around the UAE, the UAE-Chinese relationship will take on security dimensions. “Combined with the rise of the Asian Infrastructure and Investment Bank (AIIB), the bilateral ties between the two countries will focus increasingly on the safety and security of the two countries’ economic interests and investments. Increasingly, the UAE and China see eye to eye on the necessity to keep supply chains open throughout maritime sea lanes not only in the Indian Ocean but also in the Arabian, Omani, and Aden Gulfs. Chinese naval vessels, which have been part of counter-piracy operations off the coast of Somalia for the past several years, are also making ports of call to the UAE and its allies in the region including Egypt. Joint Chinese-Egyptian naval exercises are supported by the UAE,” Dr Karasik said. He added the UAE is also investing heavily in China’s port infrastructure and other sectors and the security of those investments is critical to the Emirates as China becomes a economic heavyweight. Clearly, the UAE as a focal point for Chinese security interests — and vice-versa — is a necessary partnership in the grand scheme of how Beijing’s policy towards the Mena region will play out. “In addition, Chinese security interests match the UAE’s requirements because of the evolution of Daesh and other extremist groups. The two countries share a mutual desire to eradicate these type of groups, especially Daesh, where Uighurs from Xinjiang Province are increasingly becoming radicalised in the Levant and Southeast Asia,” Dr Karasik said. Dr Karasik said the UAE’s Emirates Defence Industries Company offers exciting opportunities for cooperation in terms of technology and know-how to Beijing’s State Administration of Science, Technology and Industry for National Defence.